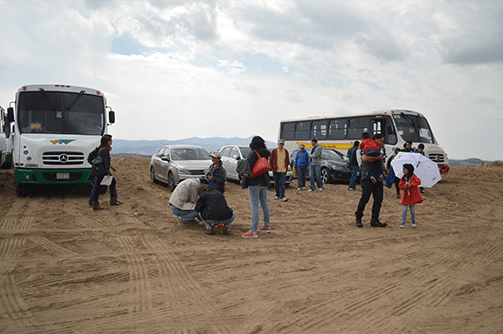 Rallybuses have scheduled departure times: there is no tolerance as they cannot arrive late to the stages. Out of respect for the other people on the Rallybús please be on time. You can take backpacks, coolers, umbrellas as long as you don’t obstruct the aisle or the seat next to you. Buy your ticket or at the ticket office in Rally Campus, we recommend to buy them in advance! To board the Rallybús, you need to go to the Vasco de Quiroga entrance in Rally Campus with your ticket at the times shown below. There is no tolerance time! Look for the schedule on our web page or download our app (Rally Mexico) for any notification. Buses will depart as soon as they are full, the last bus will leave at the last hour shown in schedule. The bus to return to Rally Campus will depart from the place you unloaded, at the indicated time. It is essential to save your ticket to board the return bus. For your own safety, passengers who have abused alcohol will not be able to board even if they have paid a ticket. Rallybus does not make stops between end points, it goes straight from Rally Campus to the Spectators Area and back. -Access to Rally Pass grandstand and Rallybús. LIMITED SPACE. – Round trip from Rally Campus to Magueyes and back to Rally Campus. 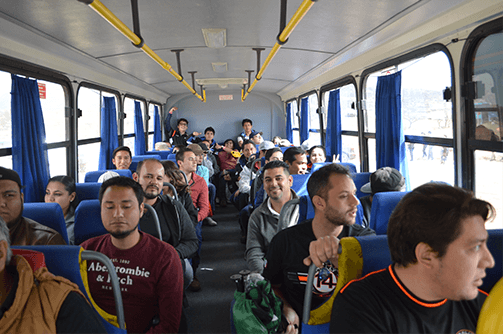 – Round trip from Rally Campus to Autódromo de León and back to Rally Campus. – Reserved area with shadow and bathroom in Magueyes Spectators Area. *Important: To take the bus to Autódromo de León you need to come back from Magueyes in the first schedule. 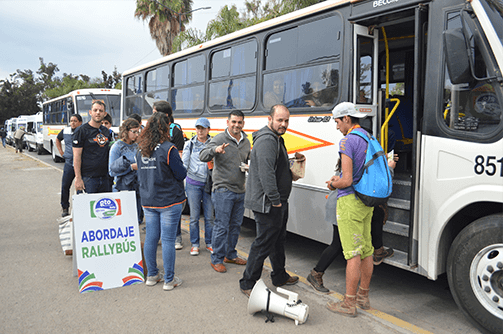 – Round trip from Rally Campus to Jaraleña and back to Rally Campus. – Reserved area with shadow and bathroom in Jaraleña Spectators Area. *Important: To take the bus to Autódromo de León you need to come back from Jaraleña in the first schedule. 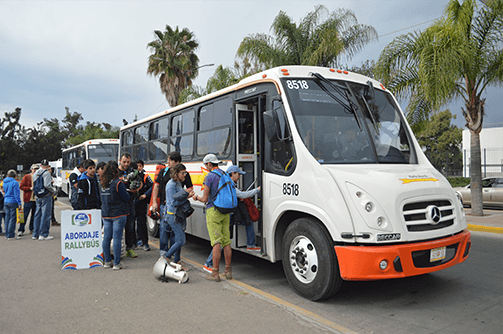 – Round trip from Rally Campus to El Nuevo Brinco and back to Rally Campus. – Reserved area with shadow and bathroom in El Brinco Spectators Area. *Important: To take the bus to Autódromo de León you need to come back from El Brinco in the first schedule. – Round trip from Rally Campus to Sauz Seco and back to Rally Campus. – Reserved area with shadow and bathroom in Sauz Seco Spectators Area. 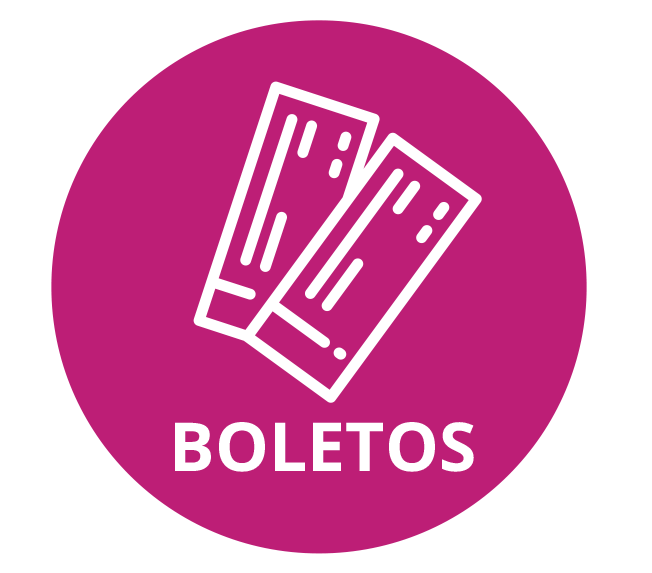 Rallybús tickets do NOT include access to the Autódromo de León. This tickets are purchased separately. All Rallybús tickets include round trip. If your ticket includes Stage + Autódromo de León (Friday and Saturday) you must attend the first stage of the day, marked with green arrows in the image below. 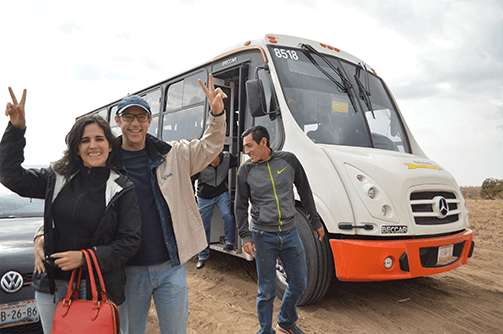 When you return from the stage to Rally Campus there will be a different bus to take you to the Autódromo de León. Tickets: Thursday and Sunday $250 (1 round trip) – Friday and Saturday $300 (2 round trips) MXN. 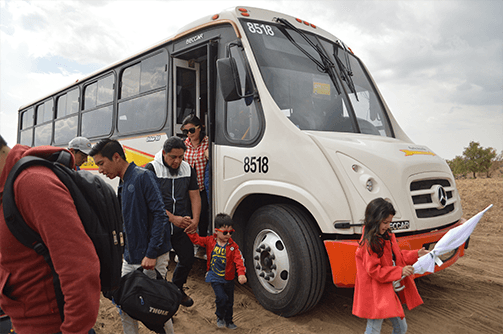 Children under 16 years old will not be allowed to board buses without an adult traveling with them. Buses will not wait after stipulated time. Please be sure to be on time to board, especially for the return trip. Prices in mexican pesos, no preferencial price for kids.